As my adventure in Laos came to an end in Luang Prabang, I reallised what a truly epic place this is. It seems the further North Loas I travelled the better the locations seemed to get and with this I thing Luang Pabang is the number one place to visit in Laos. 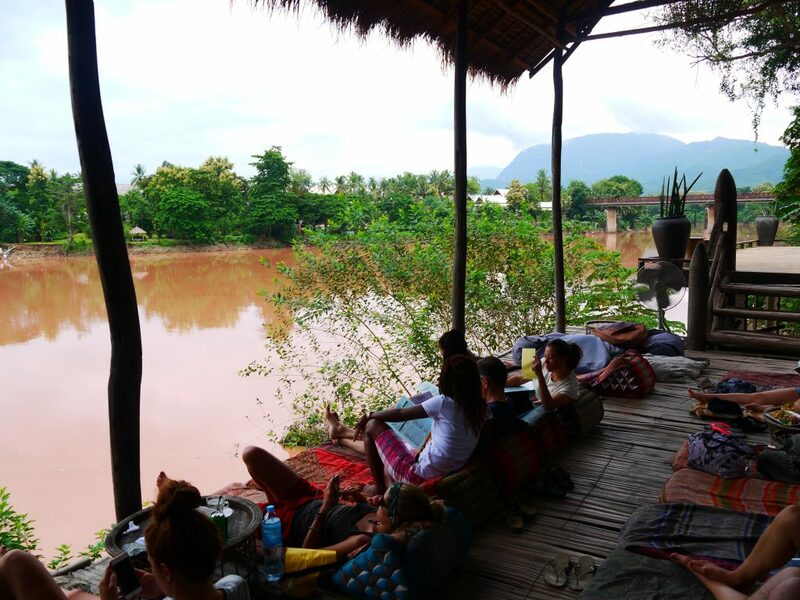 Luang Prabang has an sweet vibes atmosphere and plenty for a backpacker to do. 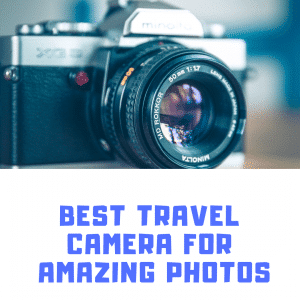 As a result, I have done my ultimate favourite 15 best things to do in Luang Prabang for a backpacker. Use these tips for a truly epic time in the amazing Luang Prabang. The most amazing waterfall I have seen. 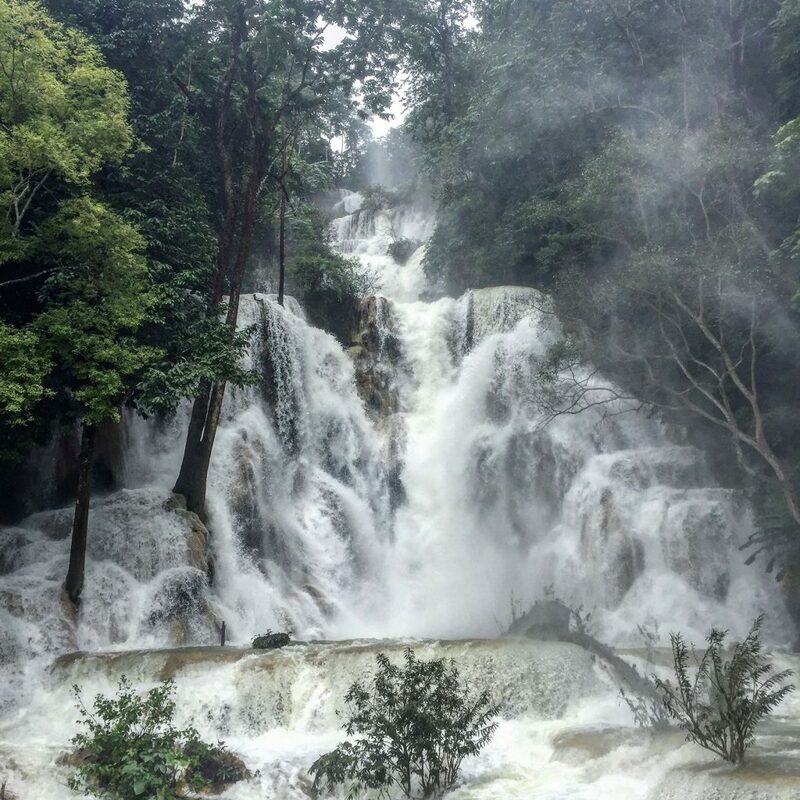 The Kuang Si fall at its tallest is actually taller than the more famous Niagara Falls. The unique three pooled rock formations are covered by unique turquoise coloured waters than you can swim in and take plenty of worthy Instagram photos. However, during rainy season the waters will turn a dark brown colour, read more on this _. 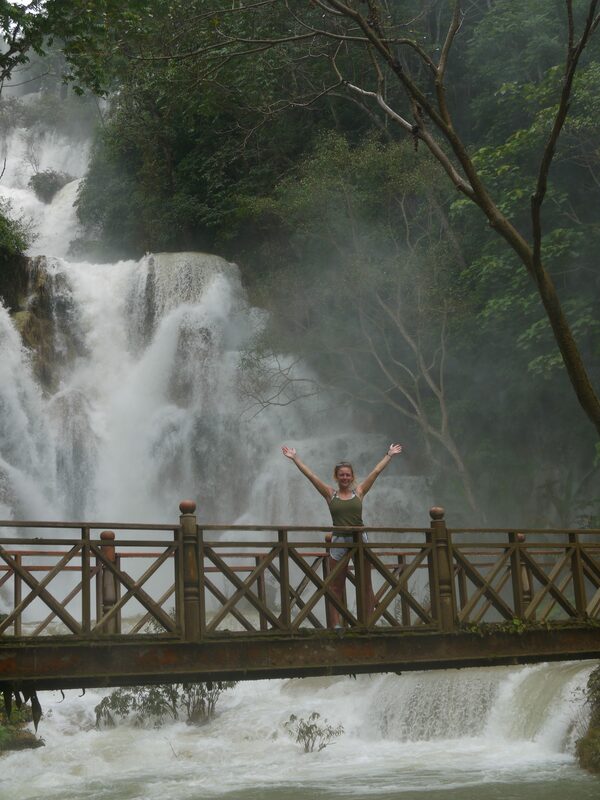 Nevertheless, the Kuang Si Falls are one of the most amazing things to do in Luang Prabang for a backpacker. 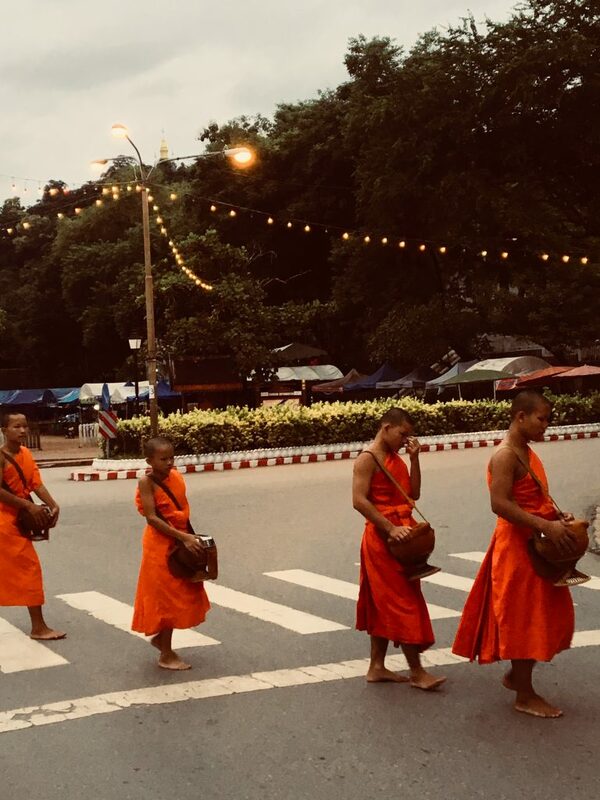 Sorry guys you have got to set your alarm for 5am to see this one “Jheeeezzz that’s early man” yeah but it’s worth seeing the cool monks as they march the streets in singular lines (almost like soldiers) to collect food offerings from the locals. This is a daily occurrence because it’s the only source of food for the monks of Laos. 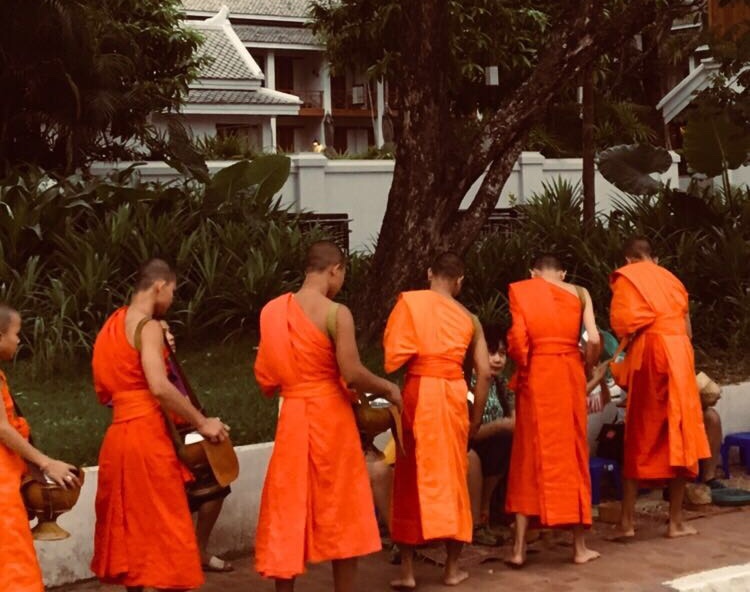 Furthermore, you will be joined by other tourists and backpackers to watch the Luang Prabang Alms ceremony. You can even get involved and offer food, but if you are not going to offer (we didn’t) don’t sit on the provided chairs, the monks will expect food if you sit in the chairs. This was the first thing we did after checking into our homestay in Luang Prabang, to be honest we just sort of stumbled across the entrance to the mountain. I found out that there are two side to enter the mountain and each one charges you a 20,000 kip fee ($2.50). The first thing you get to see on your 10 minute climb to the top of the mountain (it’s called a mountain but there mean a high hill) is the giant sized golden buddhas which make a great pic. Then when you reach the top you will be hit with the wow factor of the views! It’s crazy looking out, it’s like your looking over a Hawaiian village, not Luang Prabang. I think this is because of the blended palm trees with rooftops that you wouldn’t expect in Laung Prabang. This was a first for me and will probably be a first for you? 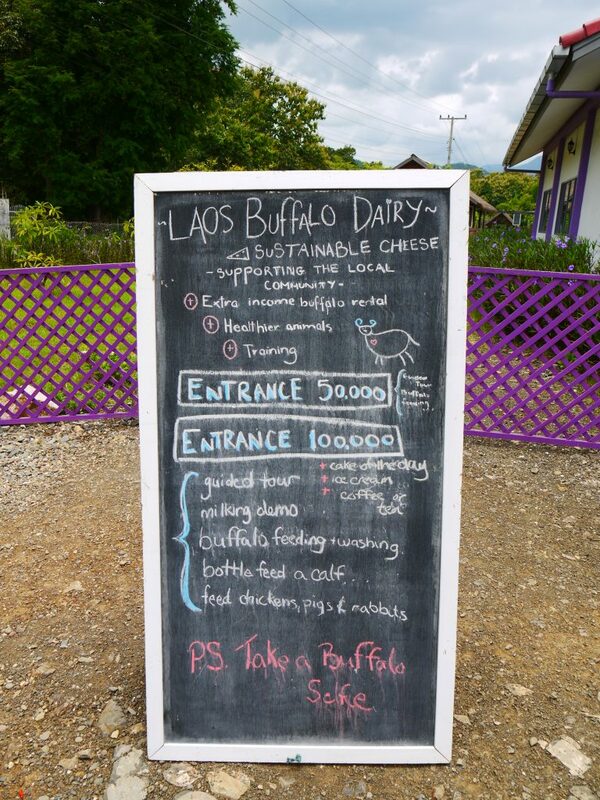 You can visit the buffalo farm and try ice cream that has been made from the onsite buffaloes and I wouldn’t lie about this it was actually the best ice cream I have ever tasted (apart from Ben and Jerrys). 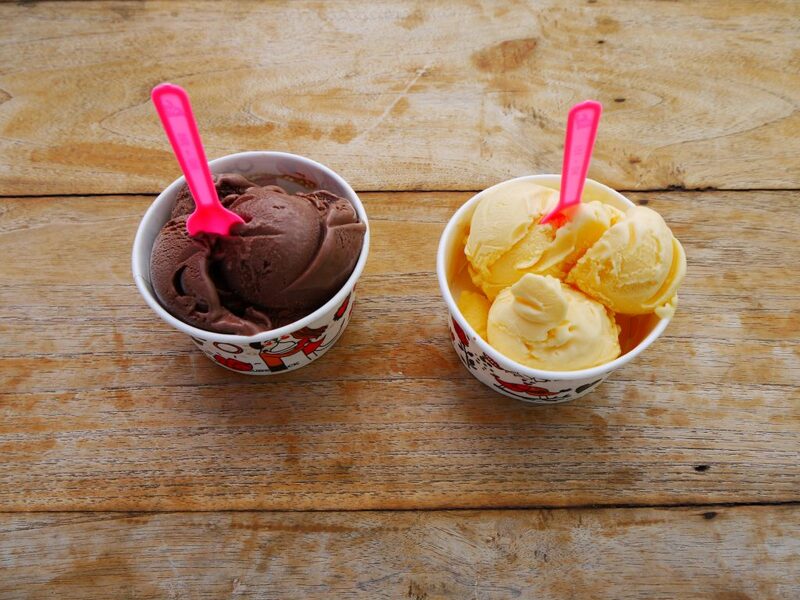 We only tasted the ice-cream, however you can go on a guided tour around the farm to see the buffaloes and chickens. However, we just preferred the ice cream. See the picture for the pricing details. 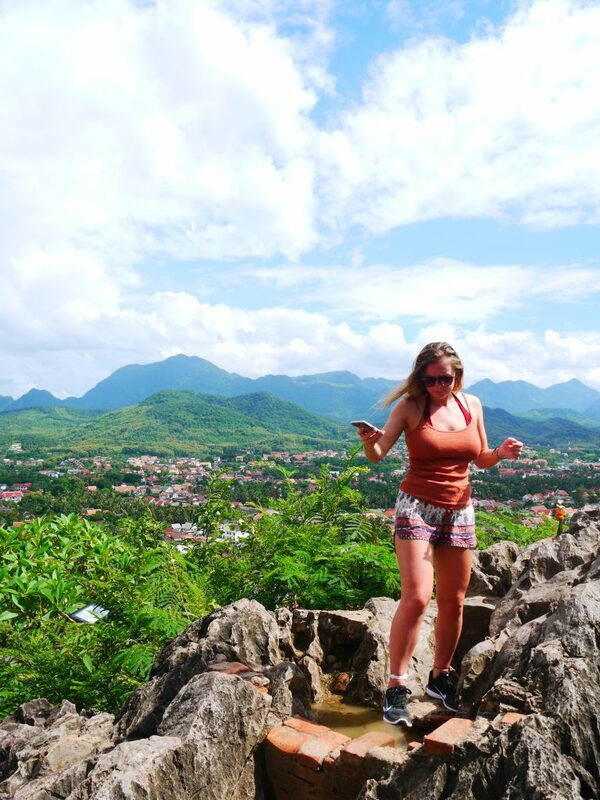 A tricky place to visit that is 12 miles out from the centre of Laung Prabang, however if you do take the time out to visit you will be rewarded with epic rock formations and a stunning water display. 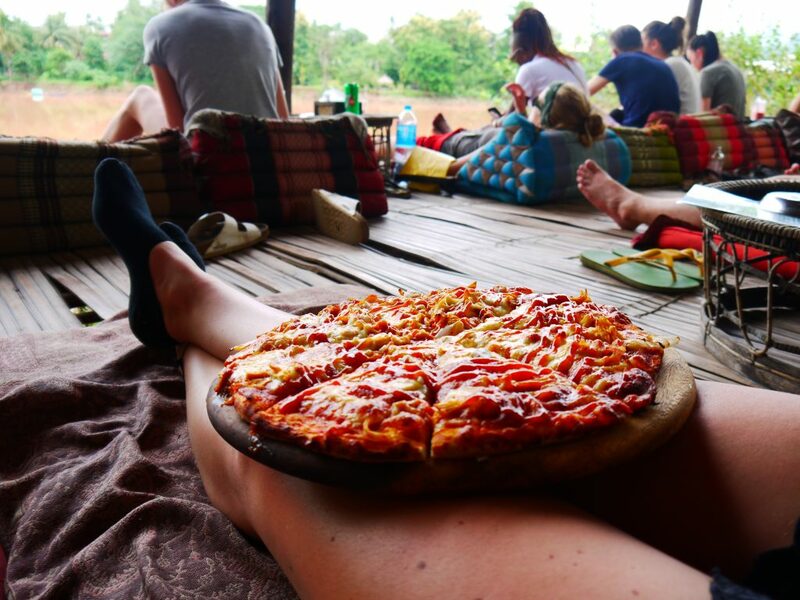 Not many backpackers make their way here due to the location, but it’s probably worth a visit. 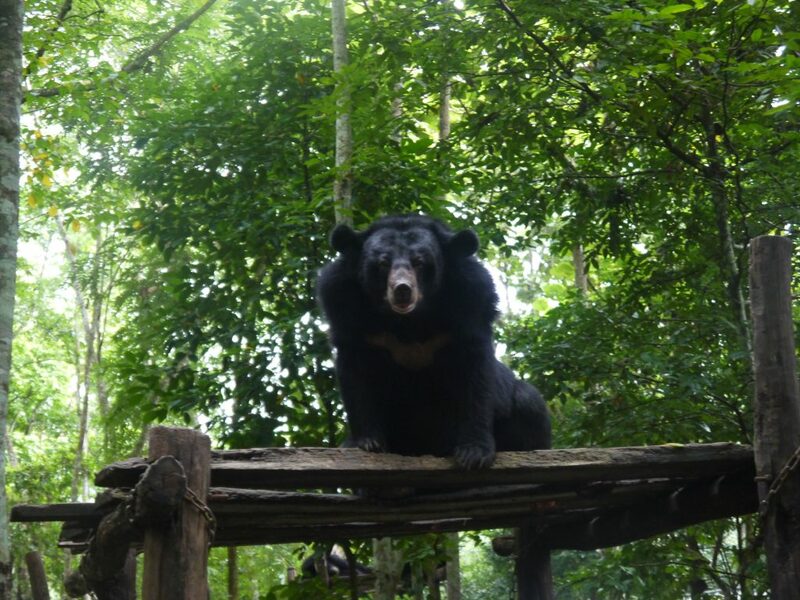 Established in 2001 the Luang Prabang elephant sanctuary has been working hard to provide a new home for the neglected working elephants of Laos. You will get the chance to meet and the elephants and gain new knowledge regarding the histoy and backgrounds of these truly majestic animals. I enjoy routing through the local goods on the markets and some markets are mega, but some are shocking. 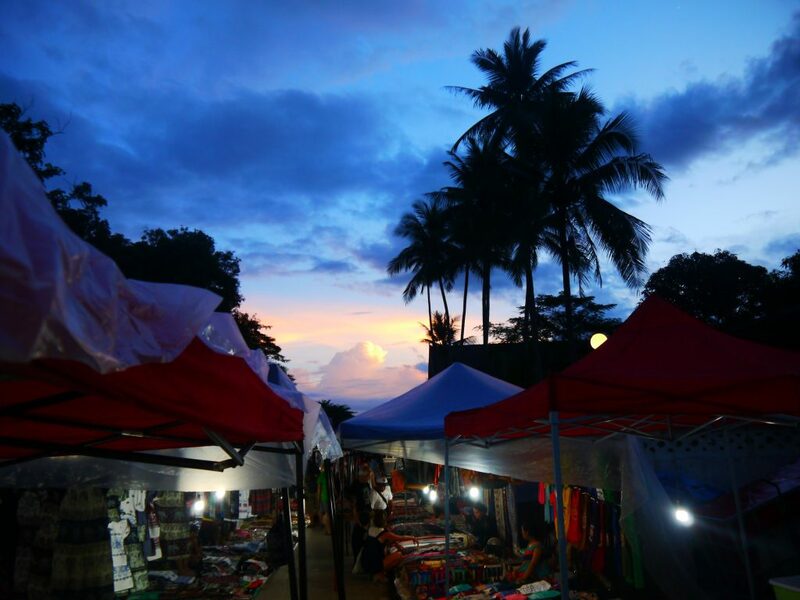 However, the Luang Prabang night market is “sweeeeeeettt”. You have the chance to by the cool Southeast Asia T-shirts for $2, whacky local goods for a $1 and taste some of the local made wine that strangley has a dead snake in the bottle. I tried this wine and I instantly felt woozy, maybe it’s because I haven’t been drinking much. Anyway, the markets are a great thing to do in Luang Prabang, even if you don’t buy anything it’s good to see all the local goods. 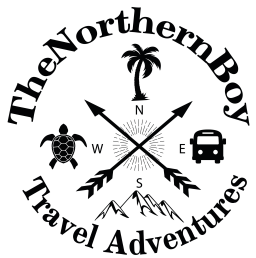 This is a Top Top – where to eat in Luang Prabang? 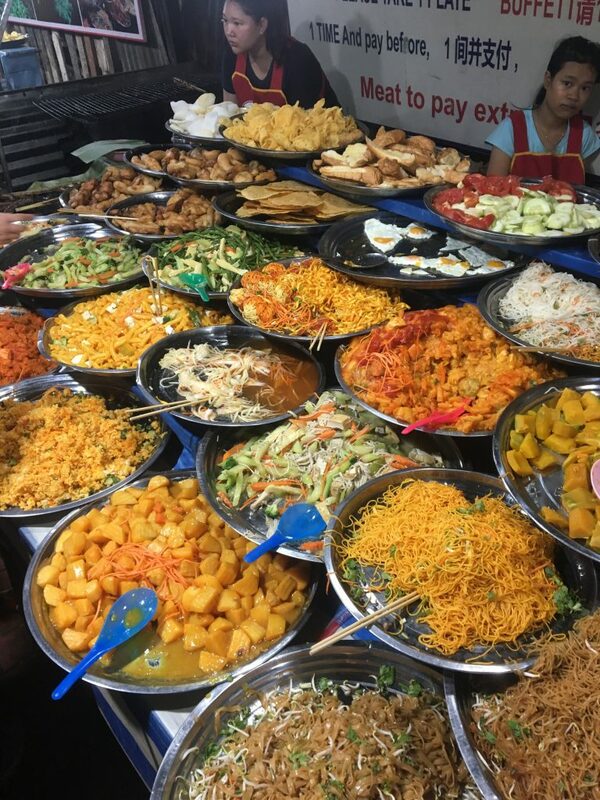 Down one of the side streets of the market there is a few stalls that offer all-you-can-eat for just 15,000 kip ($2). And it’s pretty damn good food for the value. They have different kind off vegetables, pasta, rice, curry, fruit, eggs and a few other tasty foods. Worth its weight in gold the buffet stall. Gold plated buildings what else do you need to know? 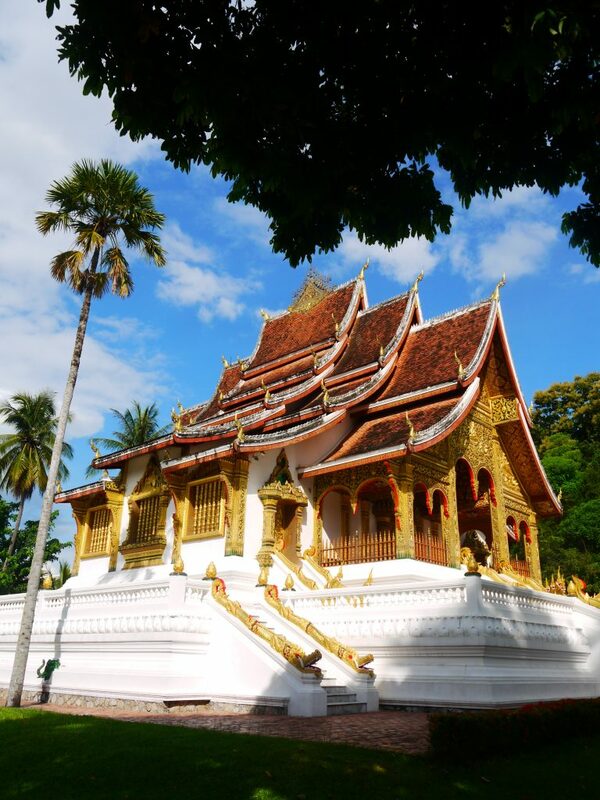 There is more to the Luang Prabang royal palace than the stand-out gold. It is a cool Loa styled building that looks amazing in the sunshine. 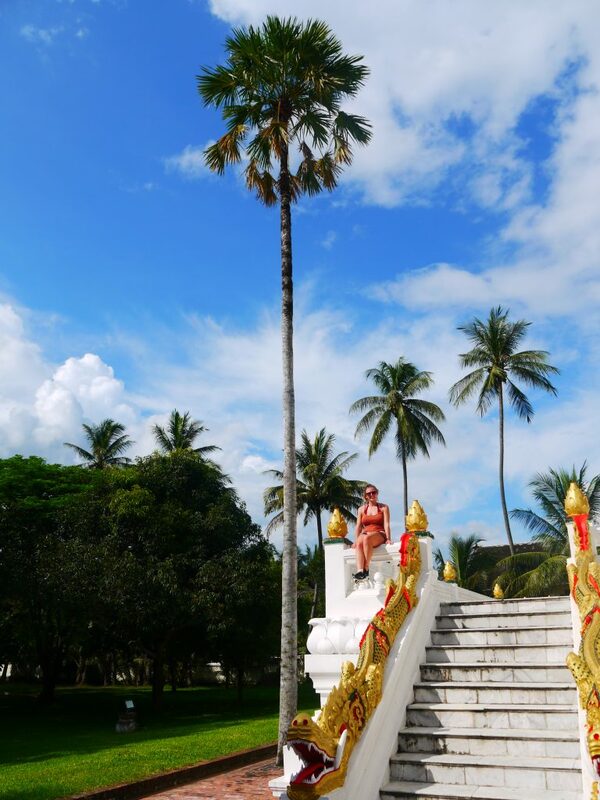 Also, the Haw Ph Bang temple is surrounded by tropical palm trees and cut grass that is worthy of a good sunbathe on. It is also FREE to enter here, and you can take away some amazing pictures. 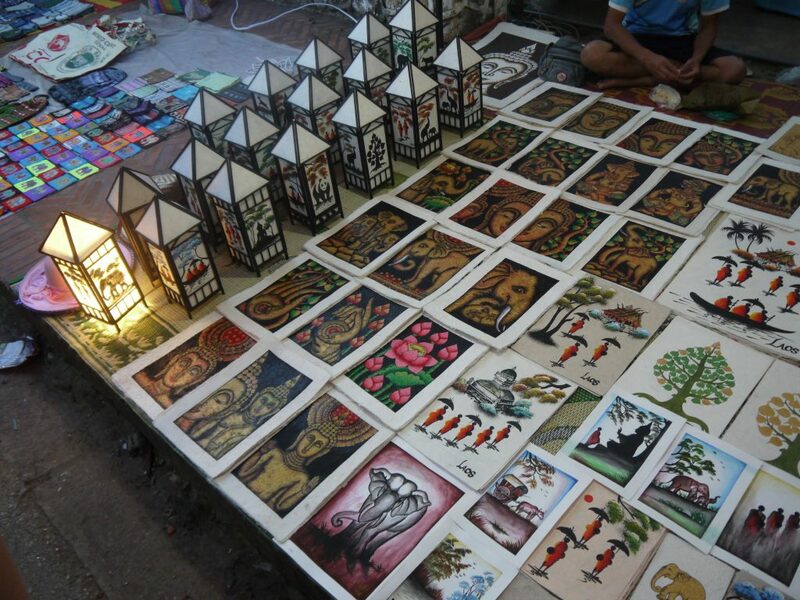 Visiting Laos is a great for a more relaxed side of backpacking. 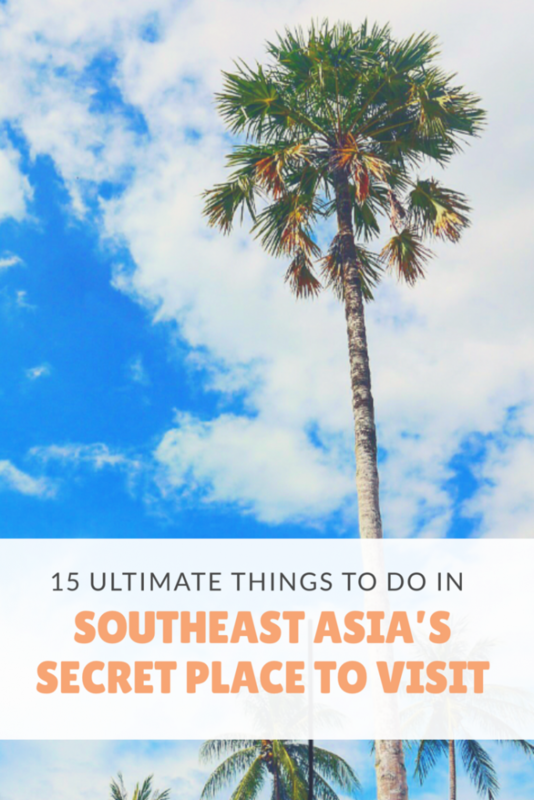 You don’t get the hustle and bustle like lots of the other touristic destinations in Southeast Asia. And Luang Prabang is a sweet example of this. Therefore, bike hire in Luang Prabang is a must do to get see plenty of the local streets at your own relaxed pace. Sun shining, ray-bans on and hitting the streets on your bike “Life at its finest”. This is where to eat in Luang Prabang. 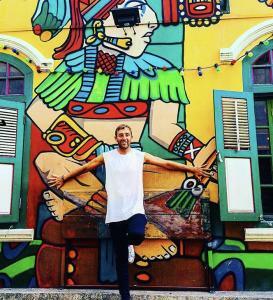 Utopia is the number one spot for backpackers and tourists from all over the world. Utopia serves mouth-watering food at good value, a little more expensive than the local restaurants but it’s worth it for the food. 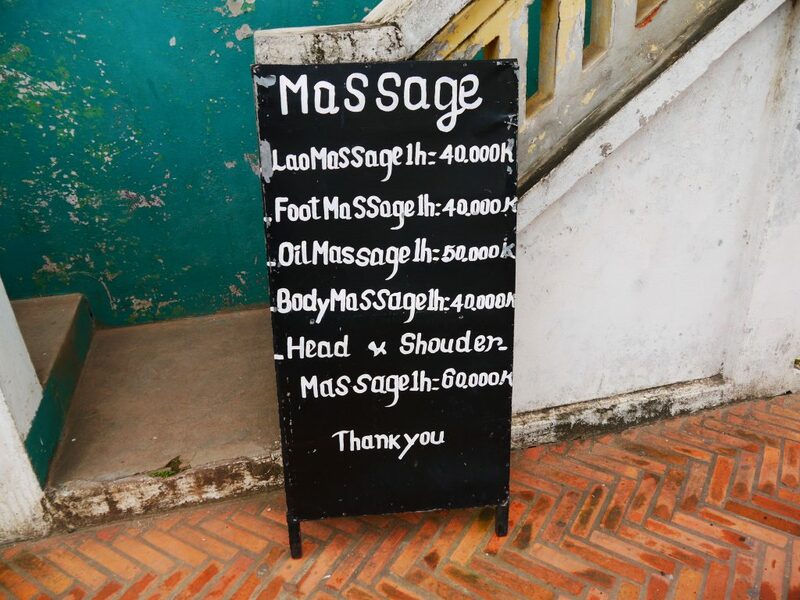 After working your way through everything on the 15 best things to do in Laos for a backpacker in Luang Prabang you will need an authentic Lao-style massage from one of the local massage shops. You can have the stress from your feet massaged away while you relax in an air-conditioned room and maybe you could have a shoulder rub as well. 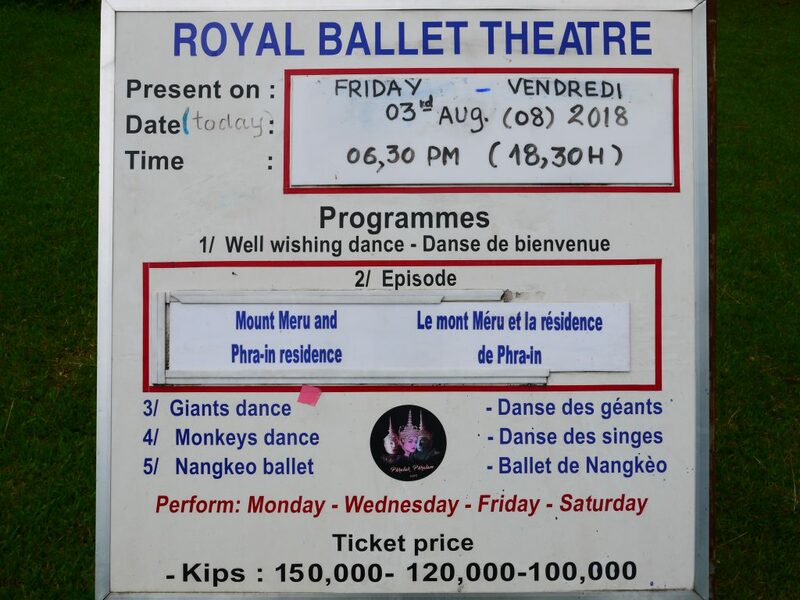 You can come here to watch a one and a half-hour show that is supposed to be quite impressive, we never watched one, but I know the locals regard it as a best thing to do in Luang Prabang. 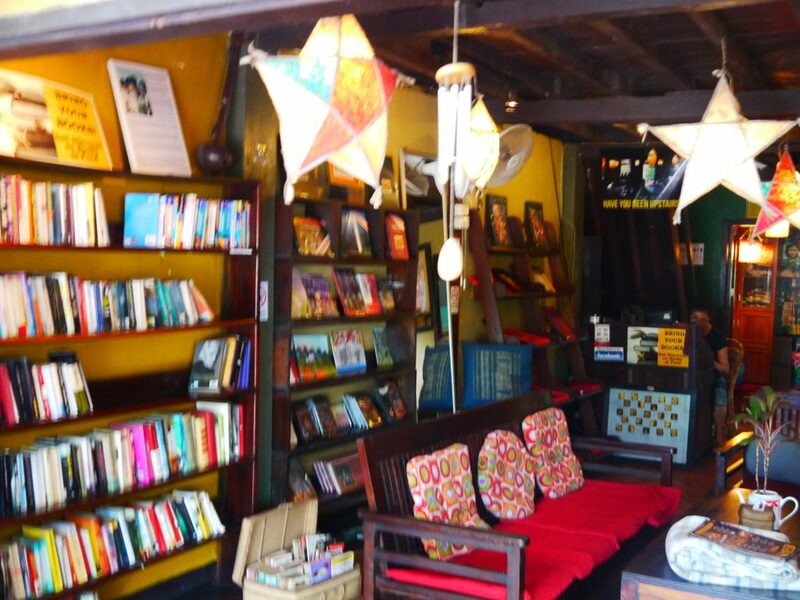 This was a great find, everyone needs a good book on travels and this shop fills that need. I know the hotels in Southeast Asia are sometimes mega for finding a new book that a previously traveller has passed on. However, the shop has a larger range to choose from at a low price and they also have some cool gifts in there. Every night the book shop I mentioned, play a film on a large screen on the upstairs of the building and to be fair they play good films. For example, the other night they were playing the baby driver. Which is a newish film. So, trade a night out in Luang Prabang, for a night at the movies.